Bartholome de las Casas was born in Spain in 1484. 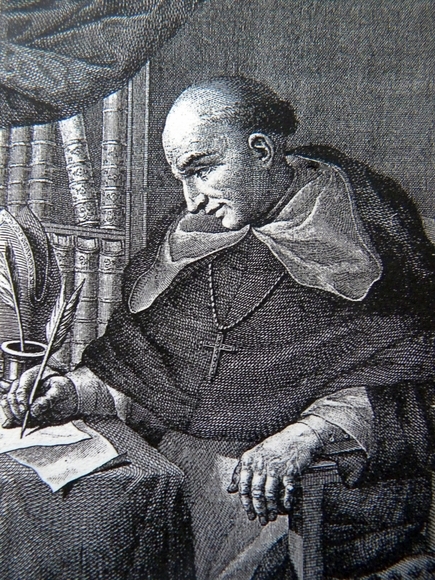 Las Casas graduated from the University of Salamanca, and soon afterward crossed the Atlantic to become the first clergyman ordained in the New World. However, his ordination did not stop him from participating in the conquest of Cuba. His work in Cuba as a conquistador produced huge rewards. Las Casas, received a large ranch and slaves for his efforts. Then, in 1514, Las Casas became aware of how harshly the Indians were being treated. The just treatment of Native Americans had become a raging controversy throughout Europe. This was largely do to the awareness that was heightened by the Catholic Church. The conquistadors had made it clear that they were not interested in God. Their only concern was money. This was in direct conflict with the Spanish Empire and its leaders who believed that the Indians were also the king's subjects. During December of 1512, the Spanish government made it clear how they stood on the subject. They passed the Law of Burgos. The law stated that the Native Americans were to be treated with gentleness and converted to Christianity. In addition, the law stated that they be given food, beds, and shelter. Las Casas believed that the law was being ignored by the conquistadors. Over the next fifty-five years Las Casas would battle for the rights of the indigenous people. Las Casa believed that the Native Americans were peaceful and virtuous, and that they would be the most blessed people on earth if they only worshiped the one true God. Unfortunately, Las Casas beliefs were not shared by the Spanish Conquistadors who were making a fortune in the slave trade. These men were firmly entrenched in their belief that the Native Americans were heathens. Las Casas attended hundreds of conferences on human rights. He was determined to stop the atrocities that were occurring in the New World. Quickly, he turned to the European press for help. It seemed that almost everyone of importance had an opinion. Then in 1542, Las Casas presented King Charles V of Spain with a document that he called “A Brief Account of the Destruction of the Indies.” This same document was published 14 years later in England as the “Tears of the Indians, Being the True Account of the Cruel Massacres and Slaughter of about Twenty Million People.” Over forty editions of this book were published in England alone. Many historians believe that Las Casas estimates of 20 million indigenous people dead at the hands of the Spaniards to be greatly exaggerated. However, historians also have to acknowledge that Bartholome de Las Casas knew almost all of the Spanish Conquistadors. He witnessed what occurred first hand. Also, he was good friends with Juan Ponce de Leon. Juan's nephew Hernan Ponce de Leon and Hernando de Soto who are believed to have enslaved over one million Native Americans apiece. Also, millions more died working in the gold and silver mines. Then, when you add all of those who died from European diseases like small pox, measles, and chicken pox you can begin to understand Bartholome de Las Casa's figure of 20 million Native Americans dead.